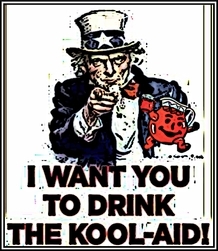 The US and its love for drinking poisonous Kool-Aid, June 21, 2016. (http://www.booksbytesblog.com/). Events past and present have converged on the world stage in the past three weeks, all to remind the world of American ignorance. The 100th anniversary of the Russian Revolution, ushering in Soviet Russia for most of the 20th century. The Balfour Declaration, also of a century ago, in which the British leaned their imperialist weight into the idea of a Jewish homeland carved out of Ottoman Palestine. And, two Sundays ago, Devin Patrick Kelley’s rampage at First Baptist Church in Sutherland Springs, Texas, where he killed 26 worshippers and wounded another 20. The one thing these seemingly disparate events share in common is America’s ability to will ignorance out of learning moments. Take the Bolshevik Revolution, for example. Nary a word has been printed about the spark that led to the Union of Soviet Socialist Republics in the US. Not about how the million-plus Russian dead during the First World War created an atmosphere of chaos within the tsarist empire. Not about how the calculations of German leadership led to them injecting Russian exile Vladimir Lenin back into his home country in order to get Russia out of the war. And certainly not about the role of US among the other world powers in attempting to overthrow the new Communist regime in the years after the war. What little focus there has been on this event has been in assessing whether Russian oligarch Vladimir Putin is a 21st-century Russian tsar. That, and the case of author Simon Sebag Montefiore, who “what-if-ed” about the Russian Revolution in a New York Times op-ed earlier this month. Somehow, the Second World War, the Communist Revolution in China, the Cold War, the Vietnam conflict, and a nuclear-armed North Korea would’ve never happened. While it was a nice touch for Montefiore to write, “Hitler would likely have ended up painting postcards” if not for the Bolshevik Revolution, the lessons deriving from this event should be far more important than typical American navel-gazing. The revolution did happen, a consequence of World War I and the imperialist meddlings of Germany, the United Kingdom, and the US. The ho-hum coverage around the Balfour Declaration a century on is yet another example of American ignorance, but in two ways. One, Americans have literally ignored the idea that the modern clashes between Jews and Arabs had an origin point straight out of the First World War. The modern conflict over Israel comes out of the European imperialism playbook, led by the UK. As a way to get the Ottoman Turks out of the war, the UK’s Foreign Secretary Arthur Balfour wrote a letter to Lord Walter Rothschild, an avid supporter of the Zionist movement. The promise of a “national home for the Jewish people” in Palestine made its way to the British newspapers a week later, November 9, 1917. The declaration set off a complex chain of events that led to the state of Israel, four Arab-Israeli wars between 1948 and 1973, and the oppression of Palestinian Arabs. The other part of American ignorance regarding the Balfour Declaration was the American role in helping it evolve from the idea of a homeland to the nation-state of Israel. President Woodrow Wilson supported the declaration. Writers like Lawrence Haas have argued that the declaration was only about “empower[ing] Jews to return to their historic homeland.” Despite his and other’s claims, every US president since Wilson has understood the declaration to be the bedrock for building Israel as a Jewish nation-state, and not just an ancestral homeland for members of the Jewish diaspora. This ignorance of the past and present has cost hundreds of thousands of lives and trillions in dollars, and is likely as intractable as the century-old conflict itself. Still, from an American perspective, none of this is as ignorant as the common refrain, “Guns don’t kill people. People kill people.” Or, as President Trump described the mass shooting at a church in suburban San Antonio, “I think that mental health is your problem here,” that this isn’t a “guns situation.” In the first few days, experts weighed in on this incident in which Devin Kelley killed and maimed dozens. They have added factors such as Kelley’s domestic violence history and the lack of communication between the Department of Defense and local law enforcement databases about Kelley’s record to the mix. But in explaining the correlation between domestic violence and a person’s willingness to slaughter random humans, many Americans remain blissfully ignorant of one elephant in the room. Easy access to assault weapons. Americans often avoid the topic, as if the Second Amendment to the US Constitution is sacrosanct. Yet here too is the First World War and the development of hand-held assault guns a factor, as automatic weapons like the Tommy Gun became more readily available to both criminals and law enforcement in the US in the 1920. While some may kill regardless of the weapon, regulations state and federal have made it all too easy for ordinary Americans to murder in large numbers. The most ignorant thing Americans do on gun regulation, though, is assume the only choices on the table are either full access for everyone or regulated access meant to keep guns out of the hands of criminals and potential mass shooters. Another choice would be to repeal the Second Amendment entirely and replace it with a law that keeps guns mostly out of the American public domain. The ignorant American in me knows that the idea of a gun-free America is a pipe dream, no more realistic than any line in the Balfour Declaration about protecting the civil rights of “non-Jewish communities in Palestine.” And no more plausible than seeing Soviet Russia as not just an historical accident, but the result of imperial wheeling and dealing to end a deadly world war. Americans are simply too willing to be ignorant of history and the here-and-now.